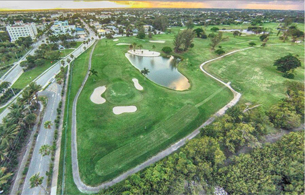 Located at One 7th Ave. North, the Lake Worth Golf Course and Pro Shop has been in business since 1927. The golf course is comprised of a unique old Florida design with a scenic 6,100 yard, par-70 course located along 1.2 miles of the Intracoastal Waterway. Visit the lakeworthgolfclub.com for more informaion.